The Fluor-led LAX Integrated Express Solutions (LINXS) joint venture team broke ground yesterday on the automated people mover. The project includes building six stations along a 3.6km guideway where driverless vehicles will arrive to transport passengers every two minutes during peak periods. Fluor and its partners are responsible for designing, building, financing, operating and maintaining the project over the next 30 years. The LINXS team comprises Fluor, ACS Infrastructure Development, Balfour Beatty, Bombardier Transportation, Dragados USA, Flatiron and Hochtief PPP Solutions. LINXS has been working on the pre-construction phase of the project since winning the contract in February last year. Fluor is the managing partner of the design-build joint venture team, LINXS Constructors, which is made up Fluor, Balfour Beatty, Dragados and Flatiron. This new line will offer ridership capacity of up to 10,000 passengers per hour. 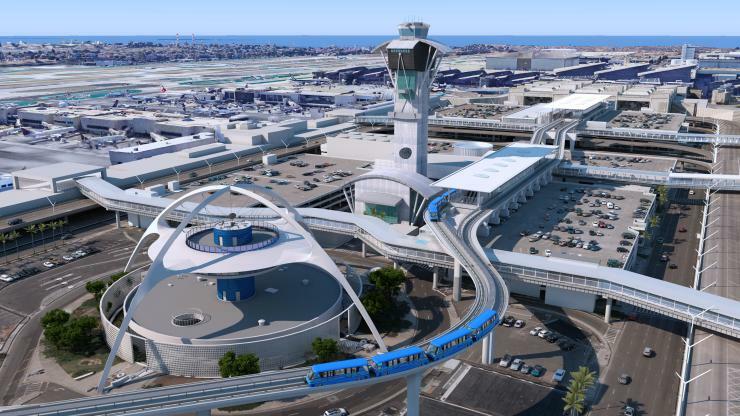 Client Los Angeles World Airports anticipates that it will carry 85 million passengers per year.